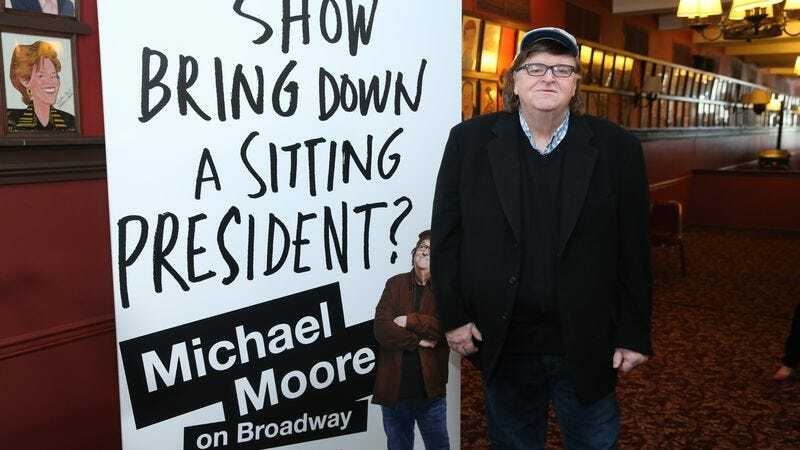 In our review of Moore’s latest film, Michael Moore In TrumpLand, The A.V. Club described it as “essentially a concert film“ documenting a Moore performance about the election. The Terms Of My Surrender will start previews on Broadway on July 28 and open August 10.